The British and Irish Lions with the test trophy after their most recent tour victory. Credit @England Rugby via Facebook. 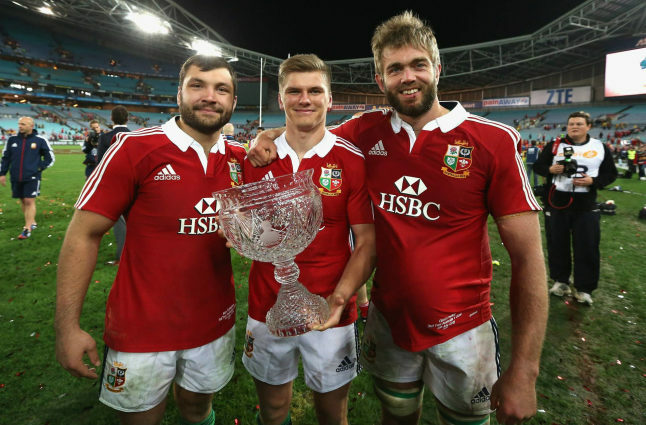 With the British and Irish Lions tour reaching its halfway stage, it seems this point may provide a beneficial insight into the success thus far, and the potential advantageous outcomes. Whilst the team originally toured in 1888, multiple renovations have occurred in terms of both squad capabilities and the format itself in order to extend its tenure, and thus this year’s tour in New Zealand may be the most poignant, as they face the most successful country in the sport in their quest to prove their capabilities. As such, whilst the tour may currently be surpassed by the World Cup and The Six Nations in terms of both revenue and recognition, a successful tournament, in which the squad may draw key experience and hone their credentials, may be the catalyst in ensuring a wider reach in the future. With the earliest tours dating back to the 19th century, in which 21-man squads travelled across the globe, the continuity of the tournament seems to have been highlighted, and it may be this longevity contributing to its high status. Warren Gatland may solely choose the highest calibre members of the four nations, as their experience may prove dividends, with the results of the tour elevating in importance throughout the years as rugby gains further plaudits. With the tour enabling players to challenge themselves versus the most proficient international teams, the desire to attain a place in the squad seems to be high and, when combined with the vast history of the competition, and the legacies of certain players seemingly cemented by this competition, travelling to New Zealand may be regarded as amongst the most desired accomplishments. It seemed The Lions may have been well equipped to amass a consistent streak of wins, with manager Warren Gatland’s expansive repertoire, winning silverware with Wales, a key factor. Yet, perhaps the squad’s crowning glory may be the squad depth, most notably highlighted at fly-half; Owen Farrell, seemingly increasingly influential in 2013 as the desire for a consistent converter intensified, attained a place in the squad, yet Jonathan Sexton, who himself has scored 612 points at international level, seems to be in favour. As such, The Lions may have been superiorly equipped than their rivals, yet have been on the receiving end of the score line twice. This may have had a productive impact conversely, both short-term, in providing opportunities to sporadic players, and long-term, providing a pivotal insight into how philosophies may be innovated, and thus these results may be more important than their victories. 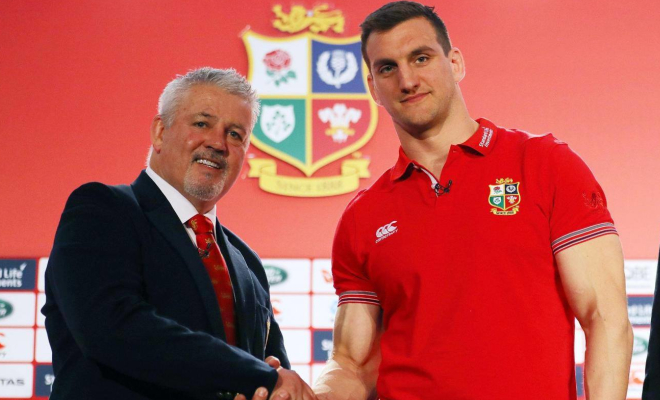 Manager Warren Gatland with captain Sam Warburton upon the announcement of his squad. Credit @Six Nations Rugby Plus via Facebook. Naturally, the tests versus New Zealand seem to have taken the majority of the focus as, with three World Cup triumphs, they seem to be the most accomplished side in the world, with their number one ranking anchoring this suggestion. 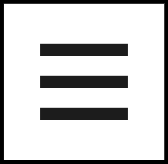 Yet, perhaps it may be more important to focus on their other fixtures, as challenging themselves versus a smorgasbord of opposition with varying degrees of abilities may be pivotal in enhancing their tactical nouse. 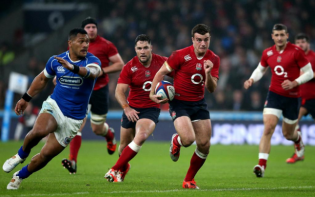 This flexibility may be a key trait in potentially elevating England from second in the rankings, seemingly proving the benefits of the tour, and suggesting why it may need to remain at the forefront of the rugby calendar. Ultimately, with the tour occurring every four years, the team seems to have had ample time to have prepared and invigorated themselves prior to the commencement. Considering their most recent tour ended in victory, when coupled with the sparsity of the tour itself, motivation levels seem to be high. Whilst it may be a fair assumption to state The Lions may be continuing to strive to reach their peak capabilities, Warren Gatland seems to have been experimenting with his tactics thus far, consistently showcasing innovation as he tweaks his formula to adapt to various opposition. With the squad seemingly possessing the most proficient players from the home nations, they may have more balanced, proficient players than their counterparts, who in representing Great Britain may, whilst naturally elevating their own capabilities, be simultaneously motivating both their colleagues and aspiring rugby players to attain a place in this cultivated squad. How may The Lions utilise their previous tour experience to win the test series versus New Zealand?